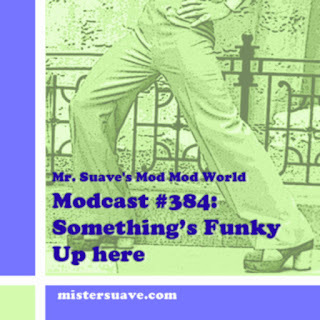 Welcome to Mr. Suave’s Mod Mod World, and it’s a good, good world this week indeed with the latest release from one of my fave Britpop bands The Charlatans. I had to get that Charlatans track in there in order to let you know about the free Charlatan’s album available for download at Xfm. You can grab the whole thing right now, right here. But I digress. In truth the rest of the modcast is a bit out of step with that opening. It’s got cool, groovy sounds beginning to end. Anyhow, I recommend you grab yourself a libation, sit back, relax and enjoy some cool swingin’ sounds. It’s time you were Rockin’ with this Mod. Too many cool bonus videos. Oh, yeah. Here's a little diddy from Paul Weller and The Charlatans.